A popular television series called The Prisoner from 1968 holds the next spot on Sound & Vision magazine's list of 10 top movies in 2009. The Prisoner is the story of a man who resigned from a secret position only to be kidnapped from his home in London and taken to a place called The Village where individuals are referred to by number and held prisoner because of their specific knowledge. The Prisoner (or Number Six) tries to save his mind while struggling to figure out who Number One is and to escape. Intrigued? I wouldn't be surprised if you are, I certainly am. However, maybe you are already aware of this series and maybe you are one of the individuals who have given this television series a cult-like following. 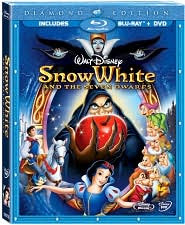 The blu-ray contains all 17 episodes and four hours of bonus features which North Americans have never been privileged to see before. The disc is considered incredible with a sharp image and vivid colors. 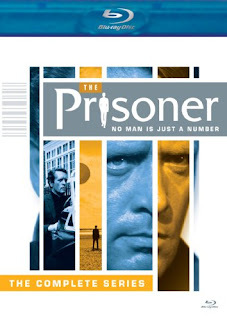 Order the The Prisoner on Blu-ray movie from Amazon. Subscribe to Sound & Vision Magazine. The Star Trek blu-ray movie was actually next on Sound & Vision's list of 10 top movies in 2009 but I have already written about that on my blog so I will not do so again today. If you want to see what I had to say about it and what Sound & Vision magazine had to say about the blu-ray, just click right here. 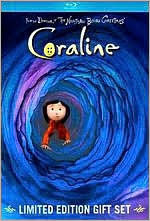 Next on the list then is Coraline. Coraline was an unusual Tim Burton-ish movie NOT by Tim Burton. I enjoyed it, as I do Tim Burton's films, and I called it 'delightfully creepy.' I'm not crazy about 3D and so we watched it in 2D. Interestingly, Sound & Vision recommends watching Coraline on blu-ray in 2D instead of 3D and called it a "truly high-def experience of rich color and impressive detail." Order the Coraline Blu-ray movie from Amazon. 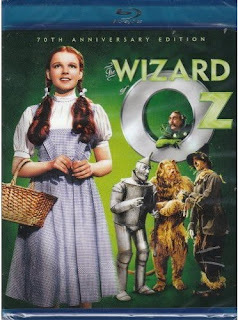 The Wizard of Oz is another excellent blu-ray movie choice and it was the third movie that Sound & Vision magazine featured on their list of the 10 top movies on blu-ray from 2009. The Wizard of Oz is one movie that I and many individuals my age (which I'm not saying) watched every year, once a year, without fail. It is an iconic movie to me and one that had the potential to be one of the best-ever blu-ray movies. Thank goodness the studio did it properly. They gave the Wizard of Oz the blu-ray transfer that it was deserving of and they did it as a 70th anniversary celebration. Sound & Vision said it was no less than "miraculously restored." What more could a lifelong fan ask for? My only complaint was the limited availability of the single and triple disc packages before Christmas. As a matter of fact, they were pretty much not available when I went looking and the gorgeous gift set was out of my gift-giving budget. However, I am thrilled to see that Amazon once again has single and three disc sets readily available. The Seventh Seal was voted one of the best blu-ray movies by Sound & Vision magazine on their list of the 10 top movies on blu-ray from 2009. The Seventh Seal is an iconic Swedish film by Ingmar Bergman from 1957 which is considered a classic film and which changed the boundaries of cinema. 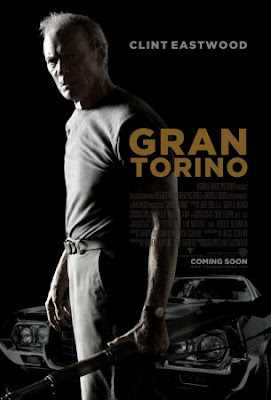 It is a Criterion movie which lives up to Criterion's reputation for top-quality blu-ray transfers. Blu-ray.com says, "I have not seen anything like The Seventh Seal yet. A perfect presentation. Very highly recommended." 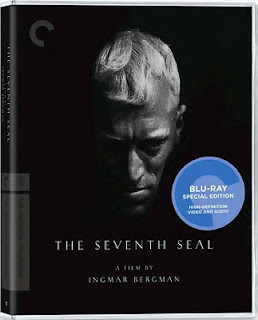 To read more about The Seventh Seal on blu-ray and about the other nine movies which made Sound & Vision's list of the 10 best blu-ray movies of 2009, visit my page by clicking right here. Buy the The Seventh Seal on blu-ray from Amazon at 40 percent off. Cool Hand Luke is a 1967 Paul Newman movie that was nominated for four and won one Academy Award. It is one of Newman's most memorable performances and tops many all-time movie favorites lists. The Cool Hand Luke blu-ray? Well, it is reported to be quite good with an excellent video transfer and a not-quite-so-good audio. (It is mono only.) It does feature some great new features and, since it is a classic movie, is well worth considering on blu-ray. Read about all of the Paul Newman Blu-ray Movies. 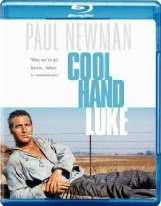 Buy Cool Hand Luke From Amazon. Some of the rare VHS movies that I know about were not blockbusters but they were important to many people. 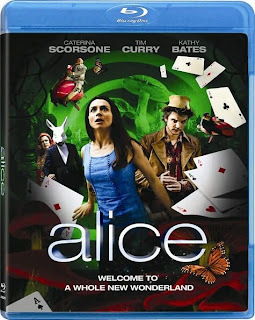 They include films like The Adventures of Dudley the Dragon, which many children grew up with in the 1990s; Miss Rose White, a Hallmark movie about Polish refugees; and Disney's Adventures in Wonderland, yet another unique take on Alice in Wonderland. Fortunately, some important films like Barbra Streisand's Yentl are finally, finally available on DVD. What movie would you like to see on DVD that hasn't already been transferred? 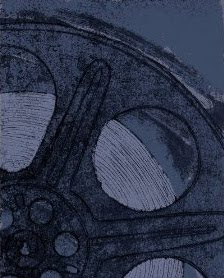 Read more about The Videotape & Rare Movies. Read more about The Adventures of Dudley the Dragon. Funnily enough for a person who sees a fair number of movies, I am not always very up-to-date on my television shows and every now and then one of my friends introduces me to a new one. This time my friend Dianne is trying to convince me to watch Big Bang Theory, the television series which is available on DVD. She says that it is about two geeky, young and socially inept physicists who are both professors. The world of these two men is changed when they meet a beautiful blonde waitress and the mix of these three individuals is a catalyst for the humour in the show. 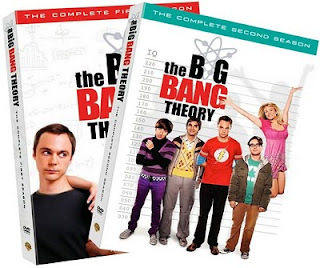 Since Dianne and I often think alike when it comes to movies, I have no hesitation in recommending that you check out what she has to say about the series at her DVD review, Big Bang Theory Television Show. If you are already a fan of the show, you might want to check out the DVDs at Amazon by clicking right here. Buy Big Bang Theory Seasons 1 and 2 on Amazon. The Time Traveler's Wife movie was the ultimate in romantic movies, perfect for Valentine's Day or for anytime when you want to see a chick flick. Definitely a woman's movie, I do not mean to imply that it will not appeal to the men in your life. I am certain that my husband and my 16-year old son would not have picked this movie for themselves but they picked it for me on Valentine's Day and I appreciated their generosity in doing so. However, when the movie was over my son said, without any prompting from me, that it was a good movie. Tonight at suppertime we discussed the movie a bit more and my husband added his confirmation that he did enjoy the movie so don't let the fact that this is a love story put you and your male folk off. 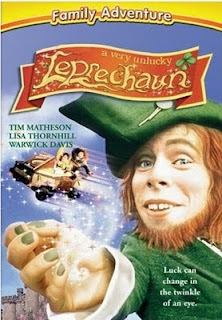 If your husband is fairly broad minded and enjoys a wide variety of movies, he just might enjoy this one. Not, of course, that it would ever be his first choice. For my complete review, visit my page, The Time Traveler's Wife Blu-ray Movie Review which will share with you more information about this extremely well done love story. Read The Time Traveler's Wife Blu-ray Movie Review. Order your copy from Amazon on blu-ray or on DVD by clicking right here. Only approximately 25 percent of movies that were filmed before VHS were ever released on VHS videotape. And only about 50 percent of the films that were transferred to VHS were ever released on DVD. That means a large number of films never made it to VHS and only half of the ones that did were ever released on DVD. Are you still hanging onto any videotapes? Still stuck on what to give your lady friend for Valentine's Day? I recommend a romantic movie soundtrack like the Valentine's Day movie soundtrack. Adrienne Jenkins of TopMovieSoundtracks calls this soundtrack a "a delicious box office bon bon." It features a fantastic mix of musicians including Taylor Swift, Willie Nelson, Jewel, Amy Winehouse, Maroon 5, Joss Stone, Nat King Cole and Steel Magnolia as well as a host of other artists that I do not recognize but that you might. I'd recommend you assemble a 'pink' gift with a pair of movie tickets to see Valentine's Day and a copy of this CD. What a lovely movie-themed Valentine's Day gift...and she will think you dreamed it up all by yourself. 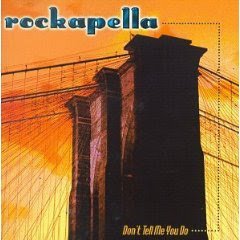 Buy the Valentine's Day movie soundtrack CD from Amazon. Download music from Valentine's Day for your MP3 player from Amazon. Many, many years ago, in 1995 to be exact, the movie French Kiss came out. It was a movie that I really wanted to see with my husband. In 1995, however, we were the parents of two children under the age of five and my husband had a job that required quite a bit of travelling. Needless to say, we never made it to the movie theatre to see this movie and we even had a hard time watching it together at home. It is an excellent movie, one worth watching with your husband if he is willing and my purpose for bringing it up here is to recommend it to you as a potential romantic movie for Valentine's Day. At the same time, I really want to recommend the French Kiss movie soundtrack. It is a quintessential French soundtrack filled with songs like 'La Vie en Rose' by Louis Armstrong, 'I Love Paris' by Ella Fitzgerald and 'Someone Like You' by Van Morrison. It is absolutely my all-time favorite CD (unless I am looking for something louder) and one that my husband slips into the CD player whenever we are having a special dinner, even with teenage boys hanging about. You just might like to slide it into your CD player for your romantic Valentine's Day dinner. 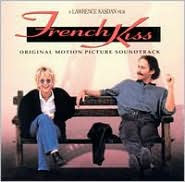 Buy the French Kiss movie soundtrack from Amazon. Blu-ray? Blue-ray? Bluray? Blu ray? How Do You Spell Blu-ray? Confused about how to spell blu-ray? I can understand if you are as I certainly was when I first started learning about this new technology. I cannot help but think that looking for the best information on blu-ray will be easier if you start with the correct spelling. Photo courtesy of Creations du Net. Recently, I wrote a page about our visit to Anne Frank's House in Amsterdam last summer and that page inspired another one called Anne Frank Movie Reviews on DVD and Blu-ray. 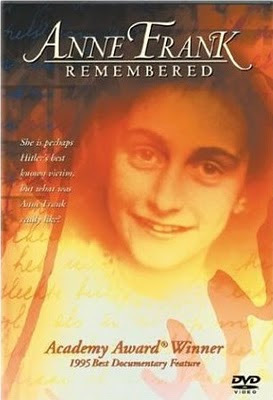 The second page is about many of the top-rated Anne Frank movies and documentaries that have been made. After I did some research, I managed to gather six of these films together and watch them. While there was some repetition, it was definitely worth watching them all. Currently, there is only one Anne Frank film available on blu-ray and it is Anne Frank's Diary, the 1959 version. The transfer to blu-ray is considered to be very well done and the new extras make it definitely worth buying. Coming to blu-ray soon, and available now for pre-order from Amazon, is the BBC production of Anne Frank's Diary which will have the same name as the 1959 movie. I will be waiting and watching for this one. Our visit to Anne Frank's House, the museum. Anne Frank Movie Reviews on DVD and Blu-ray. Amazon's Anne Frank film collection. Okay, Susan52, I reckon it is all your fault. 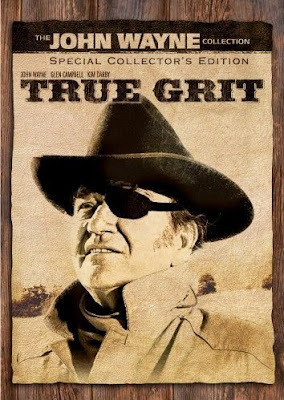 At your recommendation, we watched John Wayne's True Grit and we loved it. Now you have me wondering what else with John Wayne that we could watch along the same vein and how it would measure up. Of course, I looked first for a John Wayne blu-ray boxed set and found none. I did find a number of interesting John Wayne boxed sets on DVD including the one shown here, the John Wayne Western Collection. 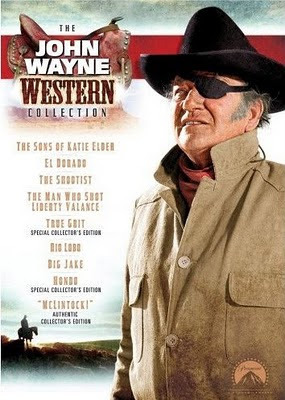 I did, however, find five blu-ray movies featuring John Wayne including Rio Bravo, The Cowboys, The Green Berets, The Longest Day and The Searchers all of which are available from Amazon at discounted prices by clicking right here and Rio Bravo is listed at an amazing $7.99. Check out the John Wayne Western Collections available through Amazon. See all of the John Wayne blu-ray movies by clicking right here. 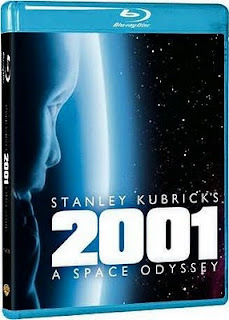 Some people consider 2001: A Space Odyssey to be one of the most important movies in science fiction history, even if it is not a film that appeals to everyone. The special effects have stood up well to the test of time and the movie was given a great transfer to blu-ray. The reviewer on DVDTown.com said, the sound was "so good it tingled his heart." Besides such great quality, the disc also features extensive special effects. It was one of the blu-ray movies discussed on my very first blu-ray movie list, Top 10 Blu-ray Movies For Best Picture & Sound Quality, and it has proven to be surprisingly popular. 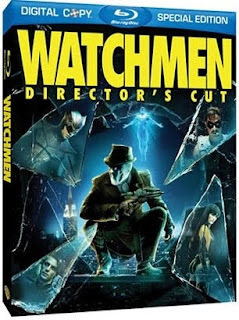 Even if you are not usually taken by science fiction films, you can afford to check this blu-ray disc out to see what it is about since Amazon has it deeply discounted by more than 70 percent at just $7.99. 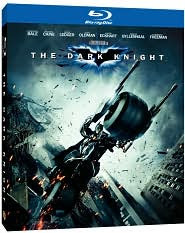 Wondering what the 10 top movies on blu-ray were in 2009? Sound & Vision Magazine's top 10 blu-ray discs is an interesting and diverse group of blu-ray movies this year, as always. I've just completed my page dedicated to The 10 Top Movies on Blu-ray in 2009 and I am thrilled with how it turned out. I am grateful, as always for the technical expertise available from a couple of sources. If you are an avid tech person (and even if you're not), I recommend a subscription to Sound & Vision Magazine magazine. My husband and I regularly battle over our copies. (He's the tech person; I think of myself as a blu-ray student or someone who is learning the blu-ray ropes as she goes.) There is quite a bit of highly technical information in Sound & Vision but the reviews are great, of both the technical equipment and the movies, CDs, etc. If you are planning your home theatre, it would definitely be a great aid. 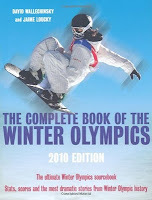 If you are looking for more information about a specific movie, I highly recommend blu-ray.com and highdefdigest.com. They both share highly technical analysis of the movies which is great. However, if you are not interested in all that is technical, their final paragraphs give a pretty good indication of what they thought overall of a movie. If you are a parent and you want good solid movie recommendations, I recommend Nell Minow, The Movie Mom. She analyzes the movies and gives them a quality rating, an age rating and lets you know what is in a film that you might object to showing your children. We've been using her recommendations for more than ten years. We still use them when we want to know what is in a movie, even though our boys are teenagers. I also find the Amazon customer reviews of movies very helpful. They may not always be exactly how you would feel about a movie but they sure are a good starting point if you want to learn about a movie. 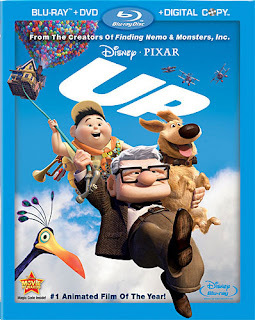 What I am trying to share here on my blog and on my pages at Squidoo is movie information (and lots of blu-ray movie information) that is useful to the ordinary person who is not a tech expert. I do include technical quotes from the experts and hope that the combination of general discussion and technical information is helpful to you. 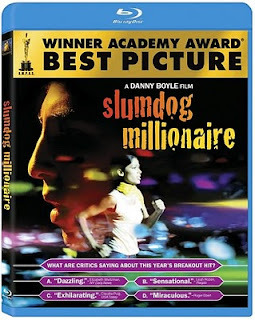 I hope you will visit my latest page, The 10 Top Movies on Blu-ray in 2009 if you are curious about the best movies of 2009 and my blu-ray movie index, The Best Blu-ray Movies Ever & More plus I hope you will keep coming back here to see what is happening in my movie world. I look forward to hearing about your movie experiences and to seeing you at the movies!